Over the past few years and looking forward, we see the use of multiple metals in design and decor. In the past, there was usually a front runner, as we have seen with the warmer metals. For 2018+ we see Silver as the front runner. Not just one shade but the whole range of the Silver Family. 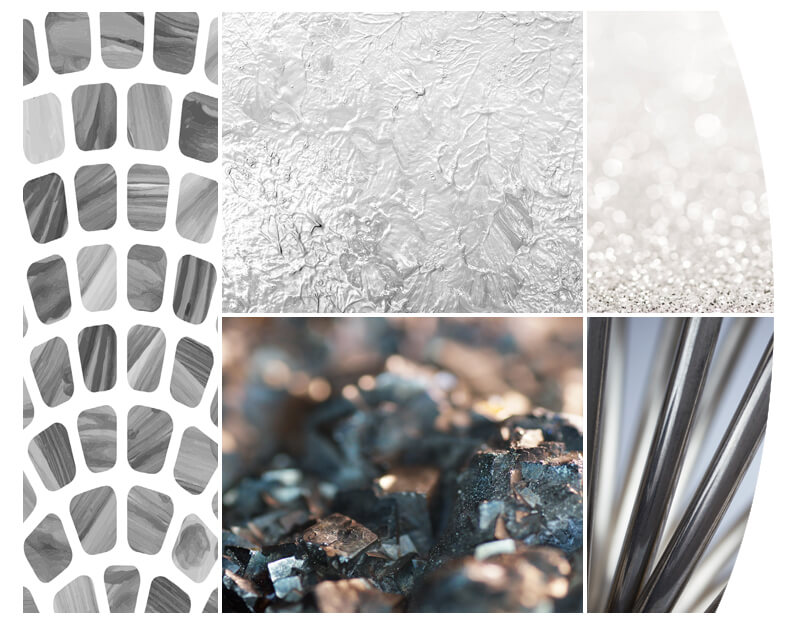 From the  soft, white, lustrous metal to  the depth of deep pewter;  This metal will be in the forefront from industrial to decor, technology, photography, and medicine. Find inspiration to evoke the Silver style by viewing the Krylon Silver Mood Board.